At interpack 2017, Bosch Packaging Technology will debut scalable packaging systems for sweet and savory biscuits for slug and pile pack. The show will be held in Düsseldorf, Germany, from May 4 to 10, 2017. Bosch’s latest solution for pile pack applications offers manufacturers increased product protection and the ability to adjust the level of automation to match current and future needs. The system consists of a vibratory infeed, an innovative magazine feeder, a new horizontal flow wrapper and a new integrated topload cartoner. 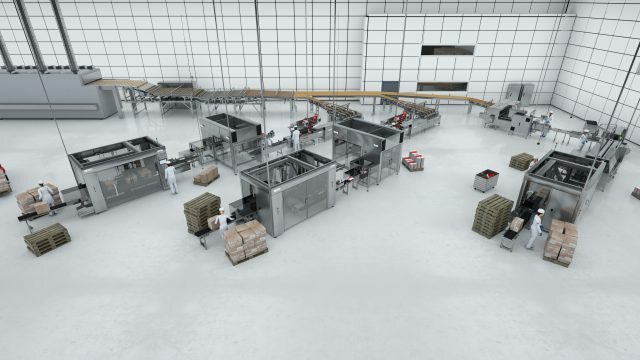 The Smart Pile Loader is developed for gentle product handling from feeding through to collation, achieving enhanced product protection, full product control as well as a continuous product flow. This results in minimized breakage and enables higher production speeds. Due to its ability to automatically and dynamically extract a variable number of biscuits from each magazine, the feeder compensates when the product supply from the oven to the packaging system varies. By extracting missing biscuits from one of the other lanes to build a complete stack, this feature supports automatic lane balancing. In addition, manufacturers can select the desired stack height independently from the number of incoming magazines. This allows for easy changes to package configurations, for example to run special promotions. In order to accommodate inconsistencies in product heights that result from the baking process, the new technology also enables easy adjusting of the stacking mechanism to the varying product thickness, without machine stoppages. Before the stacks are delivered to the Pack 403 flow wrapper, collations of one to four stacks can be built per pack. 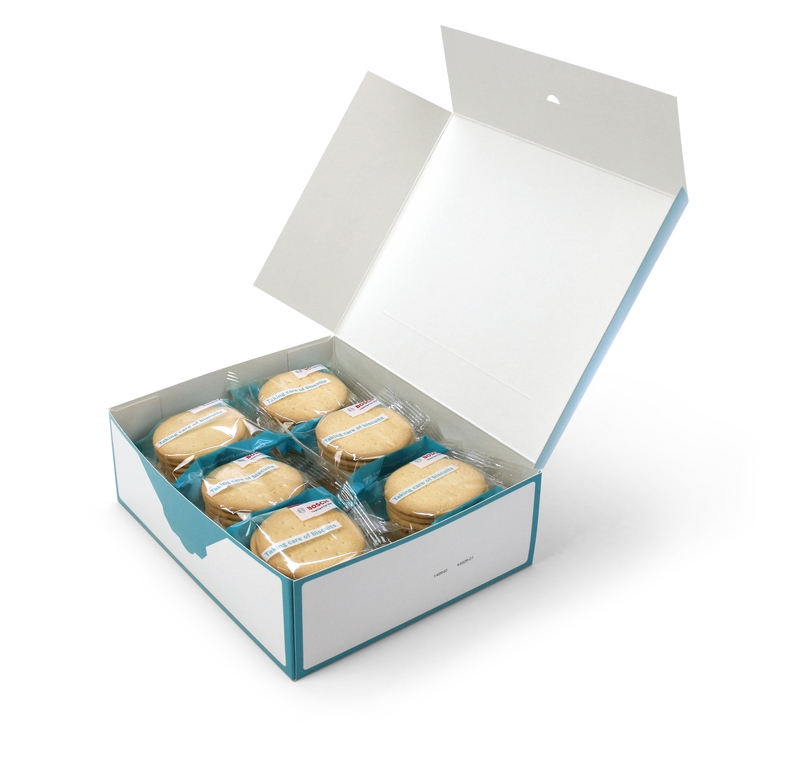 With the wrapper’s improved sealing technology, the biscuits are reliably sealed and protected from moisture, increasing shelf life. From there, the packs continue to the new Integrated Topload Cartoner (Kliklok ITC) that erects, loads and closes cartons. Coming from the vibratory infeed, Bosch’s Smart Measuring Loader portions the biscuits and places them into trays. Then the Smart Slug Feeder places the trays into the infeed of the horizontal wrapper Pack 301 LS. For secondary packaging, the Kliklok SFR endload cartoner can be fitted with TRAC-i infeed and the new Elematic 1001 SL case packer. This system starts with a vibratory transport system that assures a continuous product flow at minimal back-up pressure. Depending on the requirements, the measured amount is directly placed in the chain or in the tray. This makes it easy to produce two different pack styles on the subsequent flow wrapping machine. From the wrapper, the biscuits are delivered by the collating and loading unit into the infeed chain of the endload cartoner. Depending on the required type, orientation and the collation of products, the cartoner can be equipped with several infeed options. It is 25% smaller in footprint, has a patented rotary carton feeder, picks and erects cartons in the direction of flow. Bosch has also developed the universal sideload case packer Elematic 1001 SL that is designed for handling Regular Slotted Cases (RSC), also known as American cases. With the Elematic Click changeover and easy machine accessibility, reproducible and tool-less changeovers are executed in less than 10 minutes. The user- friendly features make it easy to operate, clean and maintain the machine. The full servo technology makes it a reliable and efficient alternative for producers of all fast moving consumer goods.